The world is shrinking. Thanks to digital technology you can talk to anyone across the world as though you’re stood next to them. This is great for those wanting to stay in contact or start their own business. But, not all businesses can be built over the web. Local businesses need local customers. This is particularly true if you’re looking to start a pest control business. You can’t be offering your services across the world unless you’re only planning to send them chemical solutions. 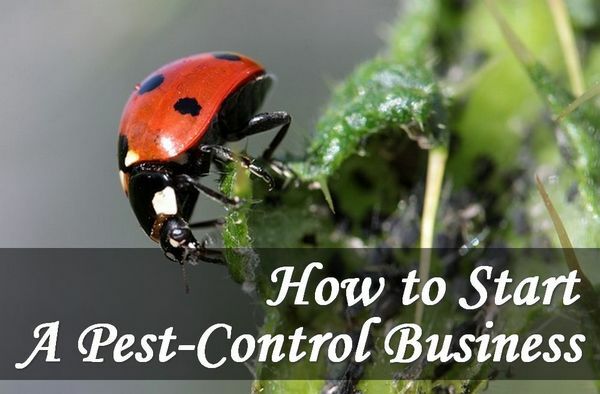 Anyone can set up a pest control business; you just need to understand the right steps to take. Pest control firms need to handle strong chemicals and be aware of the health and safety implications of their actions. This means you need to be properly licensed. It is advisable to check with your local state regarding the rules in force. You’ll need to complete a request form and give it to the board with the relevant documentation. Your van, chemicals, traps and perhaps even some premises all cost money. Before you can start your business you need to create a business plan that tells you how much money you’ll need to get started and keep going while you establish yourself and get your first customers. Once you have a realistic budget you can decide if you have the funds available or if you’re going to need to talk to the bank or some other investors. Before you can start trading you’ll need to get yourself some equipment. Pest control services usually visit the homes of their customers. You’ll need a van and all the necessary chemicals and traps. These will have to be safely stored in your van to ensue you can deal with any pest issue you find. Don’t forget that you’ll need to comply with local legislation when carrying these chemicals. Most businesses need to insurance but it is especially important in a pest control business. You need to understand the chemicals you’re using and how they will affect others. This will help to ensure you and your customers stay safe and no insurance claim is necessary. Once you have the license, insurance and the equipment you need to get some customers. Without these there will be no funds coming in and no business. You can advertize locally to attract business but you’ll also find it worthwhile to develop your own pest control marketing strategy. This will need to involve some cold calling. Fortunately you can get lists which will provide you with people that are interested in your service. This makes the cold, or warm, calling much easier and less stressful. The customer is relying on your expertise to eliminate their issue. You need to give them a top quality service and be available for additional advice. This will ensure they are a happy customer and they will tell their family and friends. The result is your business will grow in size through referrals; you won’t even need to do anything except a good job.